Hide deals from seller "WA-PA-GHETTI'S PIZZA"
Click ‘Get It’ and select Two Dinners option or Birthday Party option. Limit 1 per person and 1 per transaction. Two Dinners option includes a 2-liter of soda. Additional guests may be added to the pizza party for $12 each. Pizza party by appointment only and available at Wheeling location only. Promotional value expires 365 days after purchase. $12 for two spaghetti or mostaccioli dinners and a 2-liter of soda ($17 value). 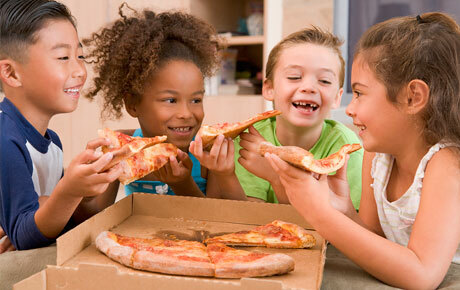 $45 for a pizza birthday party for five children ($60 value). WA-PA-GHETTI’S has been a staple of suburban pizza lovers for more than 33 years. Each spaghetti or mostaccioli dinner includes a small house salad as well as garlic bread for a tasty and satisfying meal. The children’s birthday party is a great opportunity for kids to see how their favorite food is made. They will be treated to a full tour of the restaurant, and they will decorate a hat and apron before making their own delicious pizza. Each child will also get a certificate to take home, and the birthday boy or girl will get a special T-shirt. Enjoy a Chicagoland tradition with this deal. Pizzeria in Mundelein and Wheeling that offers pizza, appetizers, pasta and more.